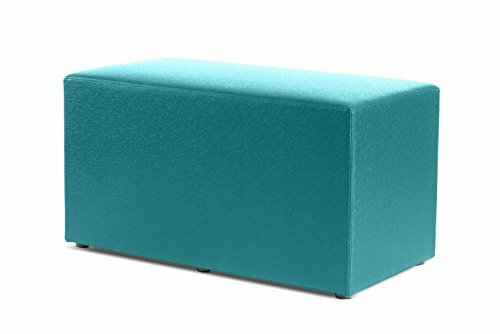 This cuboid seat works like an ottoman or bench. The cuboid is kid-friendly, durable and cleanable. Seats can be arranged in a theater arrangement for a library or can be pulled apart and set up in other configurations for offices or healthcare areas. This ottoman includes black ½” nylon glides that allows for ease of use in a highly traffic commercial or residential space. Fully upholstered in cf Stinson impress with sta-kleen- inks & stain resistant. This sta-kleen technology makes this seat resistant to soils, stains, inks, heavy duty abrasion, fluids, bleach-solution and fading. Manufactured in Goshen, Indiana, USA.